Upper Hopkins Cascade is a washboard classical cascade. Its height is 3.2 metres (10 feet) and its crest width is 2.3 metres, or 8 feet. 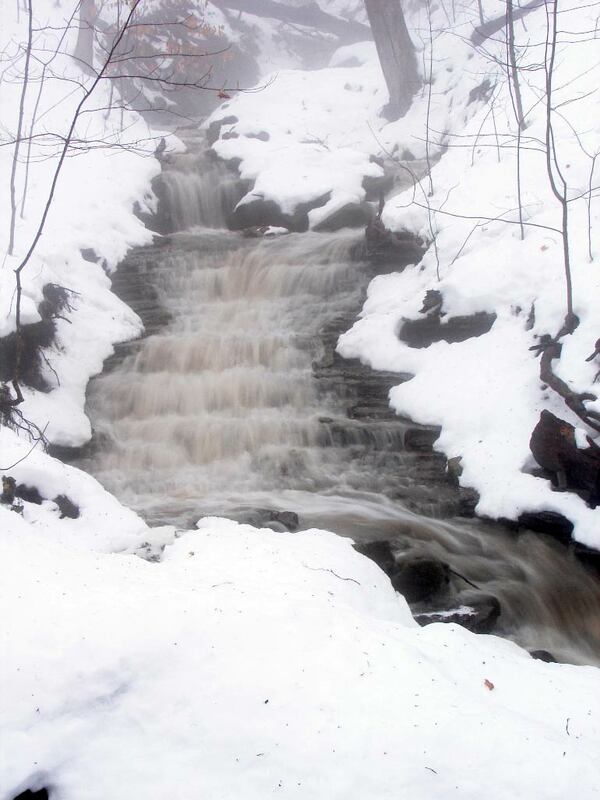 Located on a tributary of Borer’s Creek, (sometimes called Hopkins Creek) it has impressive flow during seasonal storms and during the snow melt. 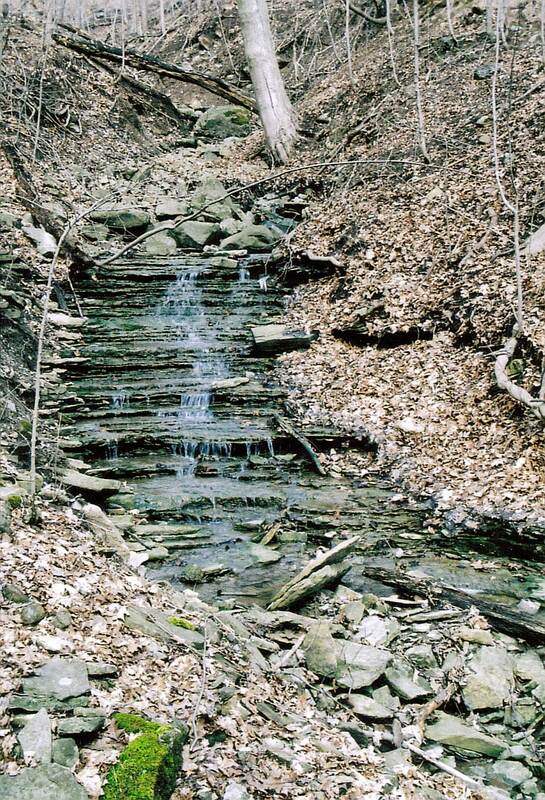 This waterfall was “found” by Paul Beneteau of the Bruce Trail Iroquoia Section and Joseph Hollick in 2006. 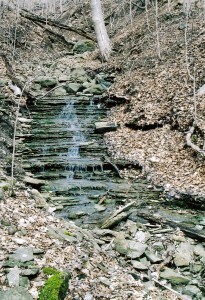 Upper Hopkins Cascade is about a 20 minute walk from the Bruce Trail access on the west side of Valley Road in Dundas. 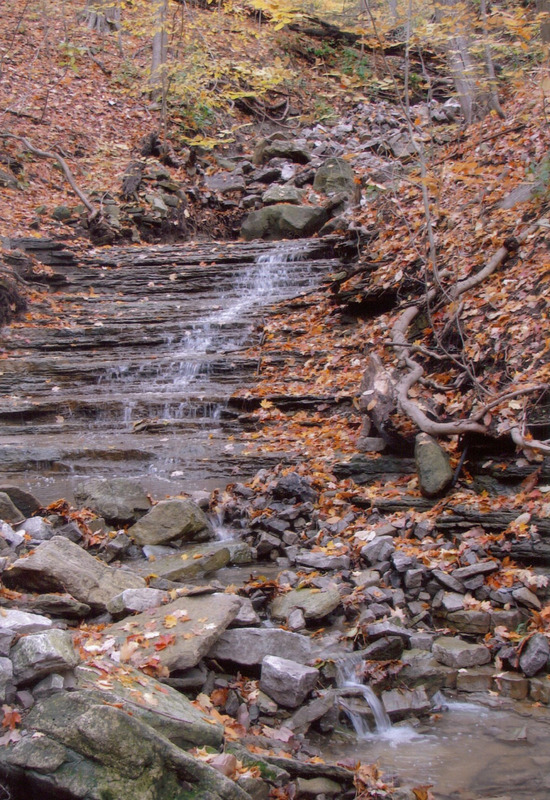 Follow the Bruce Trail westerly to where the Trail crosses Hopkins Creek at a bridge. Follow the creek upstream to the fork (there is no trail and it may be rough). Upper Hopkins Cascade is on the right side of the fork.